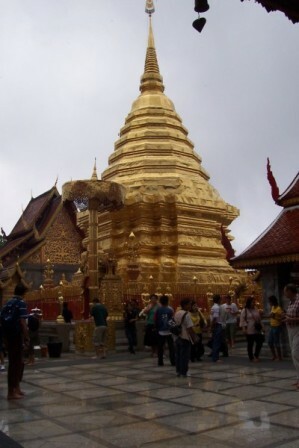 Have a look around this site and find out more about what to see and do in Chiang Mai, Thailand. Then go and visit Chiang Mai and check it out for yourself. You will be glad you did. 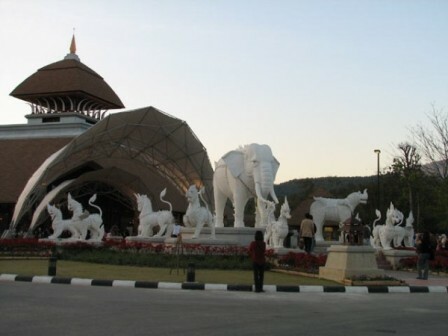 Attractions to experience when you visit Chiang Mai include things like tiger kingdom, day zoo, night zoo safari, limestone caves, tree top zipping, abseiling, para-gliding, golf, bicycle/motor-cycle/dune-buggy riding, cooking schools, dragon boat river rides, day/night markets, night bazaars, bars and clubs, orchid & butterfly farms, snake farms, national parks, royal palace, museums, hot springs, silk and silver-smith factories, handicraft villages, folk dance dinners, trekking, Thai Massages, Segway rides plus heaps more to see and do. See the Activities page for more details. Chiang Mai (referred to as "the rose of the north") is situated in Northern Thailand, 700km north of the capital city of Bangkok. 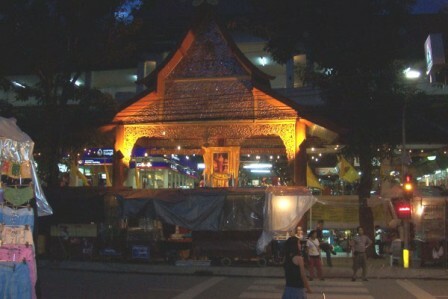 Chiang Mai is the second largest city in Thailand, yet only has a population of around 200,000. Compare this to Bangkok which has about 9 million and it is easy to see why even the Thai people in Bangkok love to visit Chiang Mai for a holiday. The city is now becoming increasingly popular with overseas travellers as word spreads of this magnificent tourist location. 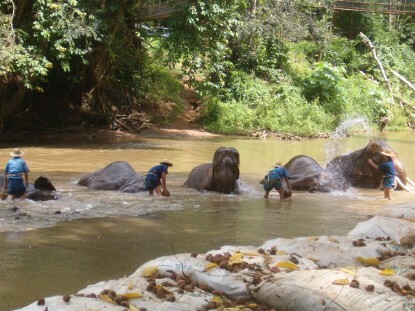 There are various ways to travel to and visit Chiang Mai. From Bangkok it is a 1hr flight. See our Getting There page for more information. In the last 25 or so years tourism has gradually transformed this once sleepy area into a travellers paradise whilst still maintaining its provincial charm. The ever-friendly and polite Thai people are full of smiles (Thailand = LOS = Land of Smiles). There are a million things to see and do, the food tastes sensational, it is a shoppers paradise and a visit to Chiang Mai can even be done on a shoestring. 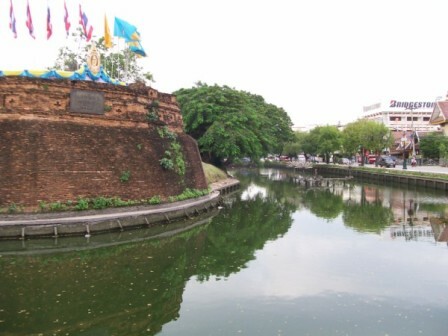 Chiang Mai was built in 1296 as a walled city surrounded by a moat. The old city was roughly 1.5km square. Whilst a good portion of the original city wall has collapsed the four corner bastions are still intact along with various other sections. The original moat is still in use to this day. Chiang Mai city is basically made up now of the old city (within the walled area) and the new city which has grown up around it. Grab a Tuk-Tuk and go for a scenic visit to Chiang Mai's lovely moat and the ancient walls of the old city. Whether you find yourself passing through or staying for a longer visit, it will never seem long enough and you will soon find yourself planning to visit Chiang Mai, Thailand again. Chiangmai Fountain Travel (Mrs Jai) Loi Kroh Road, just up from Lemongrass Restaurant.